Just Australian Buses 4 by Greg Travers, celebrates the Sydney 2000 Olympic and Paralympic Games bus transport and marks the operation of NSW Government buses in Newcastle (1935-2017). Cine film, analogue video footage and some still photography are used. A guest videographer is John Beckhaus supported by still photos, from John Ward in a short chapter on Brisbane’s trolleybuses. 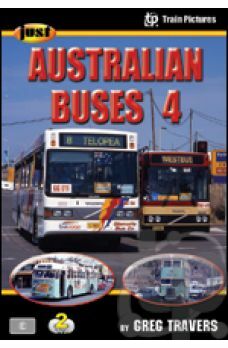 To support the Olympic Games, buses came to Sydney from statewide locations, the Australian Capital Territory, across all of Victoria, with vehicles from south-east Queensland and South Australia. In an era of standardization, never again will there be such a mixture of vehicle types and colour schemes all operating together. This is rare footage supported with detailed maps and documents to explain how it all worked. From 1 July 2017, a private operator took over the day-to-day operation of the NSW Newcastle government buses. The buses themselves and depots remain in government ownership. We take a look at government transport operation in Newcastle from 1935 – 2017, by taking a “then and now” approach. Digitised cine film has been dubbed with live sound and combined with later analogue, Hi-8 and digital video footage. There is no narration, but the bus sounds are accompanied by informative sub-titles. 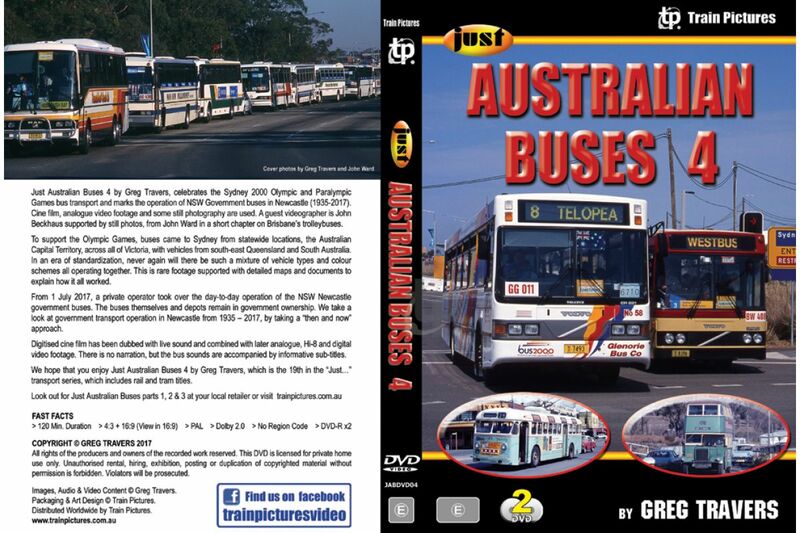 We hope that you enjoy Just Australian Buses 4 by Greg Travers, which is the 19th in the “Just…” transport series, which includes rail and tram titles.